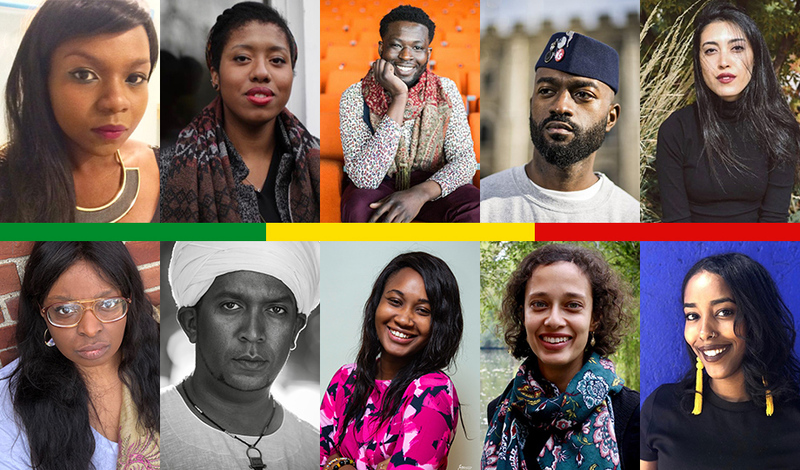 Ten up-and-coming African poets have been announced as the shortlist for the seventh Brunel International African Poetry Prize, a major annual prize aimed at the development, celebration and promotion of poetry from Africa. Every year there are over 1000 entries and this year the judges chose ten poets to shortlist. Inua Ellams has made the shortlist for a third time, and Mary-Alice Daniel for a second time. The winner of the Prize, scheduled to be announced on the 30th May 2019, and will join the ranks of previous winners, most of whom have subsequently published full collections and enjoyed many other successes. 2013’s winner Warsan Shire (Somalia) subsequently collaborated with Beyonce on her album, Lemonade; the 2017 winner, Romeo Oriogun (Nigeria), the Prize’s first openly gay poet, is now a Fellow at Harvard University; and one of last year’s three winners, Theresa Lola (Nigeria), published her first full collection this year, In Search of Equilibrium.